TravelSips is about going places and discovering what people are drinking. I’ve had some fun experiences- like judging a homebrew competition in Piozzo, Italy (way before Teo Musso was a known entity), working the bottling line at a brewery in Switzerland (BFM)? Check. 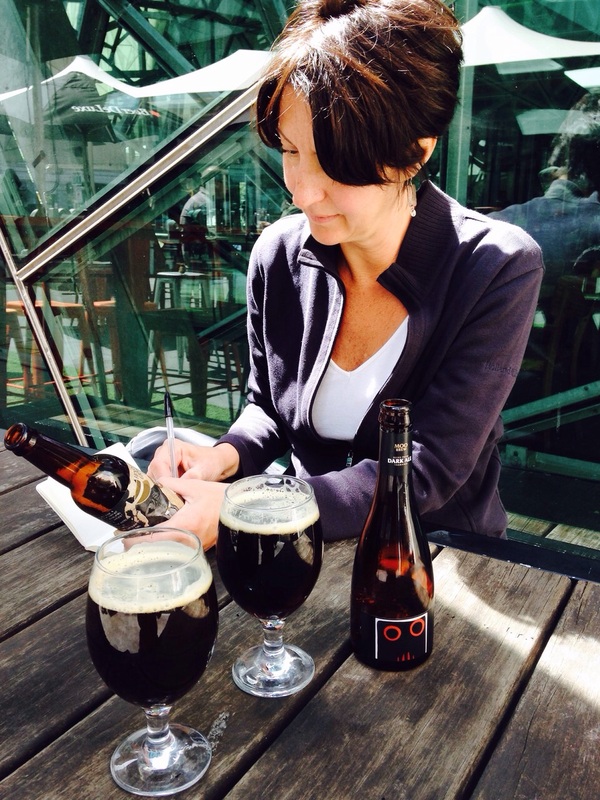 Collaborating on a beer for a cartography conference in Copenhagen with Shaun Hill? mmmhmmm. Meeting up with a Japanese brewer at a beer bar in Tokyo over fried hop flowers? Oh yeah. Joining the Beijing Homebrew Society, which was meeting at Great Leap? Why not. Winning an essay competition proposing to bring French culture to the US through beer, and then taking the trip? My first series post here! It seemed a shame to keep all these travel adventure goodies to myself. Until I land a gig in Europe, I live in Cambridge, Massachusetts, USA. My father made a Bloody Mary that made me want to get up early on Sunday- regardless Saturday night. My grandfather always drank a martini on the first tee- out of a proper glass (and was a scratch golfer). My mother is game to try anything I hand her, but prefers Coors and espresso martinis. Sigh. These characters and others act as my travel sipping barometers. And sometimes travel companions. I teach a variety of beer courses at the Cambridge Center for Adult Education. Cartography of Beer, Belgium v. Germany, Beer & Art History…) The students are what make them fun, and when I get a really good batch we go on field trips after the class is over to continue exploring craft beer in a comfortable bar-classroom. Maps are my other obsessions, and they happen to come in handy when traveling. If you are interested in maps, consider joining the Boston Map Society (disclosure: I’m the president), or attending the International Conference on the History of Cartography in July 2019 in Amsterdam. Trying to keep up with technology, but always feel behind. As of now: personal Instagram is KrisButler6; the Twitter associated with this site is @TravelSips; Twitter associated with the Boston Map Society is @BosMapSociety; Instagram associated with the Boston Map Society is @boston_map_society. Already exhausting- no wonder I haven’t had a television in 15 years! Elisabeth Karnoub just let me know about your web site. Jean-Paul and I are delighted that your trip to France went so well! Merci Rebecca- It was wonderful!